This site is not associated with any ski area. Use of any page means you accept the Site Use Agreement or EXIT NOW. For information on skiing exercises, go to "Conditioning for Skiing" page on this website and especially the link there to the drills and tests formerly required of Vail Resorts instructors. 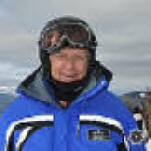 Additional information can be found in a Google Search on the top Skiing Exercises. Also see That First Skiing Lesson in this skiing web manual, especially the paragraph "Consider the legs" which explores the phenomenon of right-leggedness and left-leggedness and how that affects skiing as well as how to reduce the effects of a too-dominant leg. This "Exercises for Developing Skiing Skills" page last modified 11/03/2017 07:21:39 AM. Did you come here from a link on another website? For latest version of this page, copy to your browser: http://www.SkiMyBest.com/skiexer.htm. Copyright © 2013, 2014, 2015, 2016, 2017, 2018, 2019. William R Jones..